Come to know and love Sariah, Esther, Mary, and other women from the Bible and Book of Mormon like never before. 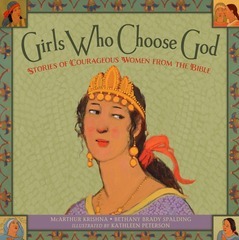 These faith-filled women chose God with all their might, and so can you! Just like the books, these cards are beautifully illustrated and written. Sturdy construction. They could also be laminated because they will get a lot of use. enjoyed them very much....almost as much as I do. I am getting copies for myself now.